Switch out the pasta in the photo for cauliflower rice, and you have a delicious keto friendly meal! Slice the red bell peppers and the white onion. Place the chicken breasts and chicken thighs into the base of the slow cooker and season with salt and pepper. Add the sliced red bell peppers and onions, then pour the crushed tomatoes over the top. Mix in the minced garlic and Italian seasoning. Set the slow cooker on low and cook for 8 hours. 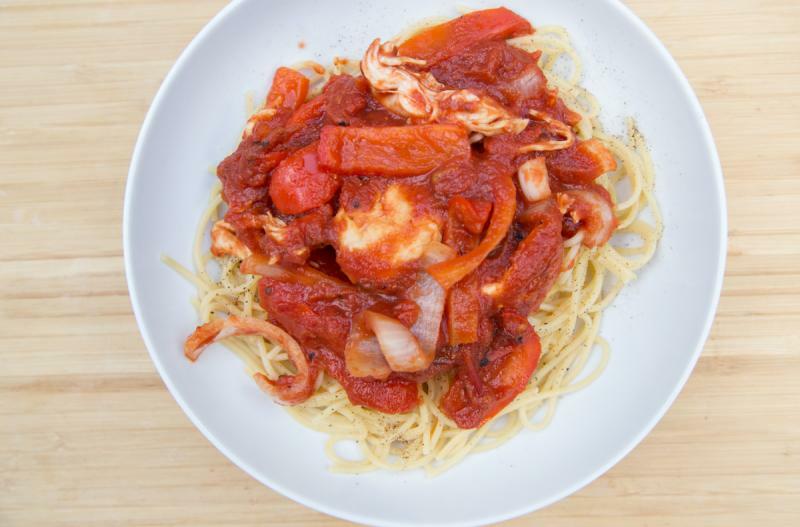 Once finished cooking, shred the chicken with 2 forks and mix into the tomato sauce. Just before dinner, cook the cauliflower rice as directed. Spoon the shredded chicken and sauce over the cooked rice. 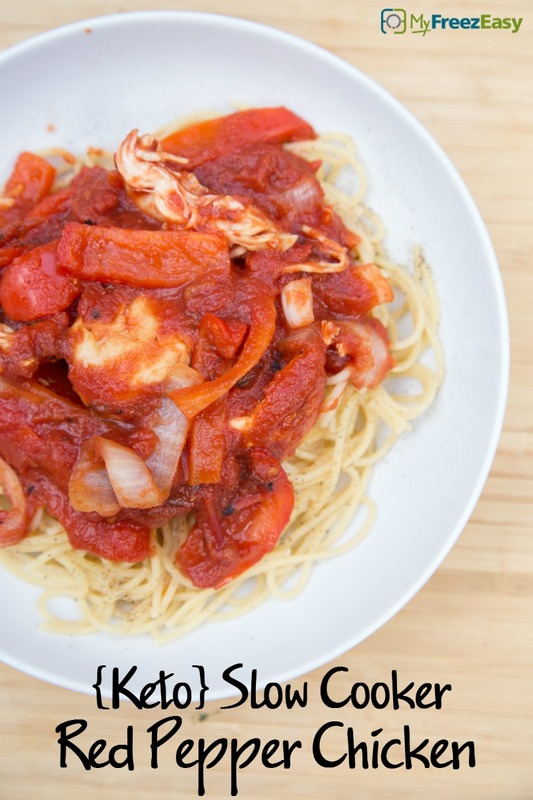 Serve Slow Cooker Red Pepper Chicken over rice. Seed and slice 4 red bell peppers. Slice 2 small white onions. Thaw and slow cook on low for 8 hours. Once cooked, shred the chicken with 2 forks.